← Strawberries, strawberries and more strawberries! 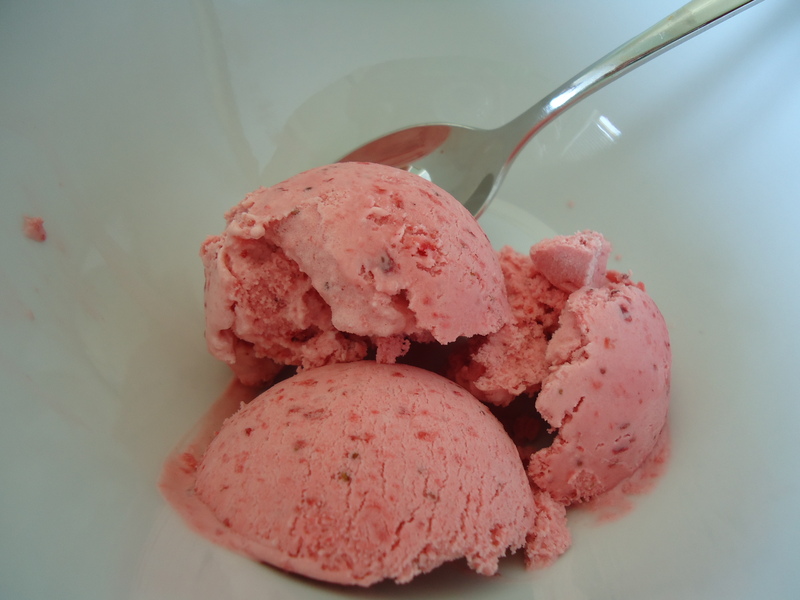 Some of the wonderful strawberries we picked last weekend wound up in my strawberry ice cream. This is creamy richness bursting with intense strawberry flavor. This is a non-custard ice cream and does not require eggs. I have a Cuisinart ice cream maker that simplifies the job. I keep the freezer bowl in my freezer so I can make ice cream any time. This would also be a great base for a milk shake! Add 1/2 cup chopped pecans. This entry was posted in 4th of July, Favorite Things, Holidays, Kid's Favorites. Bookmark the permalink.